If you have been injured in a car accident, a slip/trip and fall or any other type of accident or incident and you make a claim for any type of compensation or damages you will very likely enter into settlement discussions at some point. The Glorioso Law Firm is highly skilled in negotiations and has over 90 years of combined experience negotiating personal injury claims. Most personal injury cases eventually settle out of court and before a trial. In order to get the best settlement possible you need a highly effective and experienced lawyer. Settlements in personal injury cases occur either prior to filing a lawsuit (pre-suit) or after filing a lawsuit. The Glorioso Law Firm understands that its clients may want or need an early settlement. Our approach is to quickly investigate every case and to begin working on the case as soon as we are hired. We will discuss all aspects of your case at every step and if an early settlement is what the client wants we will work towards that goal. Unfortunately, whether most cases settle pre-suit depends on the insurance companies evaluation of your claim. The Glorioso Law Firm knows how to present your case and how to get the best settlement offer possible. If pre-suit settlement is your goal, The Glorioso Law Firm will aggressively prepare and negotiate your case as early as possible and seek to get you the compensation you deserve. If pre-suit settlement fails, The Glorioso Law Firm, will file a lawsuit on your behalf and continue aggressively pursuing your claim. We find that preparing every case as if you are going to trial is the best approach. This method leads to quicker and higher settlements. While the lawyers at The Glorioso Law Firm have no problem presenting your case in trial to a judge or jury, often times the best result is a fair settlement. To that end, you need an experienced negotiator to fight for your rights. The big insurance companies and big defense law firms have experienced negotiators on their side, you need one on your side. 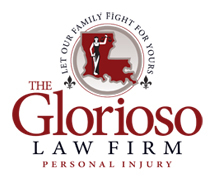 Call The Glorioso Law Firm for an experienced personal injury accident trial attorney and negotiator. Visit our case results page for more information on recent cases successfully resolved for our clients.